supervises running and repair staff employed on steam raising plant; sees that work of stokers (951) q.v. is properly performed and that correct steam pressure is maintained; is responsible to boiler house engineer (691) or to resident engineer (690) q.v. ; is usually employed only by larger undertakings. inspects, cleans, and reports defects in distributing cable-boxes and manholes in streets and roadways; ladles out any water that has entered cable-box or man-hole; reports presence of gas escaping from adjacent gas mains; cleans joints; sometimes also paints connections red, blue or black (indicating positive, negative or neutral); scrapes dirt from ledge ox cable-box or man-hole and greases ledge to make joint round lid watertight; reports ' subsidence of pavement near cable-box or man-hole, or defective grates. supervises unloading of trucks or barges of coal by labourers, and filling of coal stores; keeps record of coal received and stored; judges condition of interior of coal stack from time to time by touching an iron rod thrust into stack; orders stack to be dismantled if rod is hot to obviate risk of fire. investigates complaints from customers as to quantity and quality of coke supplied. a higher grade sub-station attendant in charge of other sub-station attendants (954) q.v. at a sub-station; usually a promoted fitter of long service; sometimes also carries out experiments on switchboards under instructions from resident or chief engineer (690) q.v. (iii) (electricity) supervises workmen employed in a district; usually in charge of navvies engaged on excavating work, directs their work and is responsible that excavations are properly protected by barriers and lights as a safeguard against accidents. canvasses prospective consumers for orders; measures up and gives estimate of cost of installation of new fittings; reports particulars of orders obtained to office, whence are issued necessary orders to district foreman q.v. ; visits consumer and examines new work to ensure that it gives satisfaction; is usually a technical man. supervises work of district foreman and reports to district engineer (690) q.v. on distribution and supply of water in his area; visits stations from time to time for general inspection purposes. in charge of engine room staff; sees that they attend regularly and punctually and that they perform their duties properly; arranges turns of duty; superintends any minor repairs or tests of new plant; usually responsible to resident engineer (690) q.v. ; sometimes also performs duties of boiler-house foreman q.v. in charge of filter bed cleaners (699) q.v. and of sand washers (699) q.v. engaged in cleaning out filter beds and in -washing sand removed therefrom; sees that workers attend punctually and regularly and work diligently, and that work is properly done; arranges duties; sanctions, overtime, if necessary; responsible to resident engineer (690) q.v. or to district foreman q.v. (London term) see fittings inspector. first call stove man (London), gas stove inspector; inspects gas fittings and appliances supplied by gas companies, on receipt of complaint from consumer, and reports as to renewal or repair; usually overhauls stove or other fitting and effects minor repairs on the spot; is usually a district fitter (235) q.v. inspects cisterns, taps, and other fittings on consumer's premises to see that they are in good working order, and in some districts to see that they are of standard or approved type or quality; if fittings are faulty either does minor repairs or serves notice on consumer to have fittings repaired or to have proper fittings installed; in some districts is also a waste inspector q.v. supervises, on behalf of water company, flushing operations undertaken by corporation workers; fixes meter to hydrant, takes readings and makes record of quantity of water used; often done by turncock (698) q.v. inspects gas holders, sees to greasing of rollers, guide wheels, etc. ; adjusts them if necessary and reports on their condition. a fittings inspector q.v. who specialises in dealing with grilling appliances. 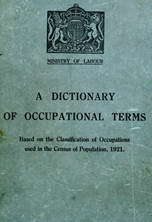 general term for any person employed as inspector of works, mains, plant, fittings, etc., or of any section or district; "inspection" may imply varying degrees of skill, technical knowledge or responsibility, may involve anything from superficial examination by sight only to application of various tests, and may be of a routine nature or designed to detect some fault or irregularity; may or may not have one or more assistants or subordinates; usually further designated according to article inspected or nature of inspection, e.g. coal inspector, fittings inspector, waste inspector q.v. inspects new plumbing work during construction and on completion; duties as for inspector of fittings q.v. arranges position of current supplies; supervises fixing of hired motors; 'inspects and tests new or old installations on consumers' premises for supply of light or power, and makes final connection; attends to enquiries and complaints as to meter readings or pressure, and to location of "earth" faults; and takes particulars in connection with change of occupier; cf. consumer's installation engineer (690). inspects street gas lamps for damages to glass, mantles, by-passes, etc., and reports defects; duties sometimes performed by lamplighter (989) q.v. controls street lamp lighting staff; is responsible for maintenance of lamps; and arranges for lighting and extinguishing lamps at times fixed by local authority; visits different parts of area to satisfy himself lighting arrangements (including self-lighting automatic) are adequate and satisfactory and in accordance with requirements of local authority; cf. public lighting foreman (electricity supply). supervises and directs work of main layers (578) q.v. ; sees that mains are laid in accordance with plans; decides whether overtime is necessary and issues orders accordingly; prepares notices for despatch to local authority indicating position and area of pavement or roadway disturbed in laying of gas mains; orders materials and implements from store. superintends laying, jointing, and maintenance of all kinds of services from main or station to consumer's premises; directs and supervises work of main layers, cable jointers, etc. ; responsible to mains engineer (690) q.v. for work according to plan. is in charge of mantle maintenance fitters (698) q.v., and arranges areas to be assigned to each. inspects meters at consumer's premises with standard meter or lamp to ensure that meter is registering correctly; affixes standard meter or lamp to service meter and counts revolutions made by revolving disc in a given time and checks against known number of revolutions per minute for a given voltage; reports to meter department, meter superintendent (690) q.v. or consumer's engineer (690) q.v. cases in which meter is defective or improperly fixed. inspects meters of street and private mains, attends to automatic volume-registering apparatus, renews ink supply and chart paper on drum of apparatus. examines motors and starting apparatus let out on hire to factories pr other power consumers; watches motors in operation to see that they are running smoothly; renews brushes if necessary and cleans commutators; carries out minor repairs, reports faulty motors to consumer's engineer (690) q.v. tests water mains and water pipes for leakages by night (when listening tests are easier, owing to stillness) using a waster [sic] meter or a stethoscope; duties similar to those of waste inspector q.v. except that no house to house visitation is made at night. superintends and directs the work of a shift of oil gas makers (698) q.v. ; inspects plant; maintains correct calorific quality of gas by reading calorimeters and instructing shiftmen to adjust plant accordingly; supervises starting up or closing down of plant or part of plant; keeps time sheets. patrols overhead high-tension cables at regular intervals examining insulators, looking for broken or damaged wires, particularly on lines about which there is any complaint, or, after a storm, etc. ; does all minor repairs and reports all other defects; also instructs gang as to suitable repair. superintends refilling of trenches which have been opened for laying of new mains or extensions, and replacement or renewal of paving; in London duties performed by district foreman q.v. responsible to street lighting engineer (691) q.v. for installation and maintenance of street lighting; supervises work of public lighting attendants (698) q.v. ; sees that subordinates attend regularly and punctually and do work efficiently; arranges duties and provides substitute for one who is absent. in charge of pumping station; is responsible for maintenance of .pumping plant, and supervises work of engine drivers (950), stokers (951), engine cleaners (699), coal wheelers (699), etc. q.v. employed on plant; keeps spare pumping plant ready for any emergency. decides when iron oxide in purifier box needs re-vivifying; orders purifier men (699) q.v. to empty box and to spread oxide with shovels, to expose it to air; when chemist considers that re-oxidisation is complete, superintends purifier men in refilling purifier box with oxide thus re-vivified; directs purifier men generally, and sees to their punctual and regular attendance; watches pressure gauges, and regulates valves to alter rotation of boxes; also directs and supervises work of scrubber man (698) q.v. inspects reservoirs to see that they are clean and in good repair, and reports defects. in charge of a shift of gas makers (693) q.v. in retort house; directs charging and drawing of retorts, and cleaning of ascension pipes, etc. ; responsible to engineer in charge for quality of gas produced and for condition of retorts, furnaces, flues, ascension pipes and hydraulic mains; according to report of gas tester (698) q.v. on temperature and gas analysis, regulates admission of secondary air to retort bench by opening or closing small doors; times period of carbonising. in charge of workmen engaged on supply-river; patrols banks over a given stretch; reports any damage to river banks, sluices, etc., or presence of scum or refuse or any other objects, e.g., animal carcases, likely to cause pollution; also notes height of water measured on depth gauges; consults with corresponding officers of conservancy hoards. inspects openings in ground, made by another authority for construction or repair of gas or water mains, etc., to see that electric mains are not damaged; reports to mains engineer (690) q.v. ; also reports any faulty box covers or grates that he may notice. inspects sources of water supply to prevent pollution; an infrequent grade; duties similar to those of river foreman q.v. see installation inspector (electricity supply). controls, in co-operation with port authority,, arrangements for supply of water to be carried on ships; in London, duties performed by district superintendent q.v. instructs turncocks and assistant turncocks (698) q.v. to increase or reduce supply of water when new premises have been connected or when a works has been closed, etc. ; gives directions to turncocks to cut off -water supply when a serious leakage is reported, or to increase pressure when water is wanted at high pressure by fire brigade; directs turncocks generally, arranging turns of duty, replacing absentees, etc. ; in London, duties normally done by district foreman q.v. waste foreman (waterworks); in control of a number of waste inspectors q.v. ; sees that they attend regularly and punctually and perform their duties efficiency; responsible to waste superintendent q r.
is responsible, under direction of waste foreman q.v., for detection of waste by consumers, of Leakages in mains, and waste of water generally by various devices; sometimes affixes Deacon waste meter to mains at manhole in street and detects waste by abnormal readings; if leakage is suspected in area tested, makes house to house visitation and examines by sight only taps, fittings and cisterns on consumer's premises; if any leakage is found, either executes minor repairs (e.g., renews washer on tap) or prepares and serves on consumer a notice to have leakage prevented within specified time; revisits consumer's premises in due course to see if repairs have been executed; sometimes tests water pipes in cases of suspected leakage by placing stethoscope on pipe and listening to flow of water therein; cf. night inspector. responsible for efficient working of waste department; issues orders to waste foremen q.v. and through them to waste inspectors; allocates duties; usually a promoted foreman and not a technical waterworks engineer. in charge of a gang or shift of water gas makers (953) q.v., and is responsible for punctual attendance and efficient working; directs and supervises operations; usually a promoted water gas maker, who often himself works with gang.